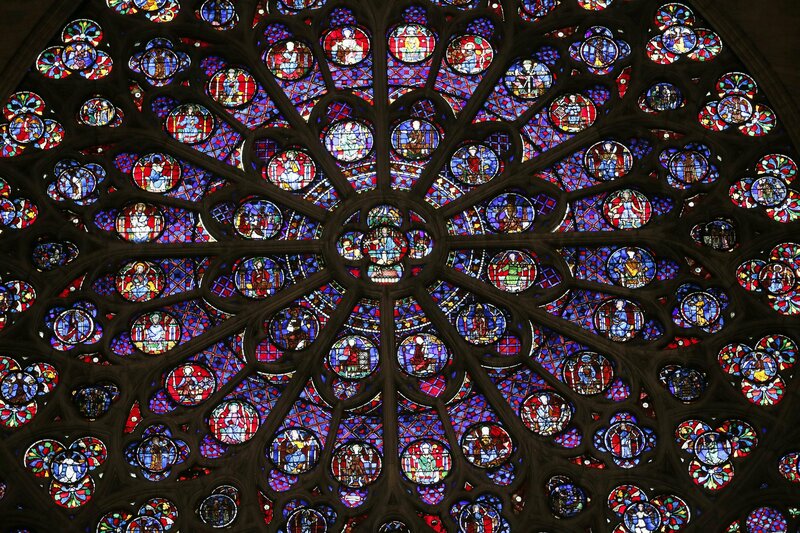 The iconic rose windows are among Notre Dame’s most recognizable features. The earliest window, which punctures the west facade of the cathedral, dates back to 1225. The north and south roses were created in 1250 and 1260, respectively. Each features dozens of intricately decorated glass medallions and circles, depicting various biblical scenes. The stained glass in the west rose is not original, having been replaced after previous fires, the BBC reported. Although glass has a high melting point of between 2,600 and 2,800 degrees Fahrenheit, it is still vulnerable to fire. The fragile material can shatter easily, putting it at risk when nearby structures collapse. Monday’s fire sent smoke billowing through the skies of central Paris. Local residents gathered around the cathedral and watched in horror as it burned. More than 400 firefighters fought the blaze that burned for roughly nine hours. One firefighter and two police officers sustained injuries during the effort. Although the full extent of the damage is not yet known, the cathedral’s two towers and gothic structure were spared. But the fire torched its roof and destroyed its spire. According to Paris Mayor Anne Hidalgo, emergency responders saved priceless artifacts and works of art from the inferno by forming a human chain as Notre Dame burned. It’s not yet clear exactly how the blaze started, but authorities are investigating it as an “involuntary destruction by fire. ” Firefighters believe it began in the cathedral’s attic and quickly spread to the spire and other areas. French President Emmanuel Macron vowed to rebuild what was lost in the fire, and said he would seek international help to do so. Macron said that a national fundraising campaign would begin Tuesday, and he called on the world’s “greatest talents” to contribute their skills to the project. The president also praised the “courage” and “great professionalism” of the firefighters who battled the blaze. 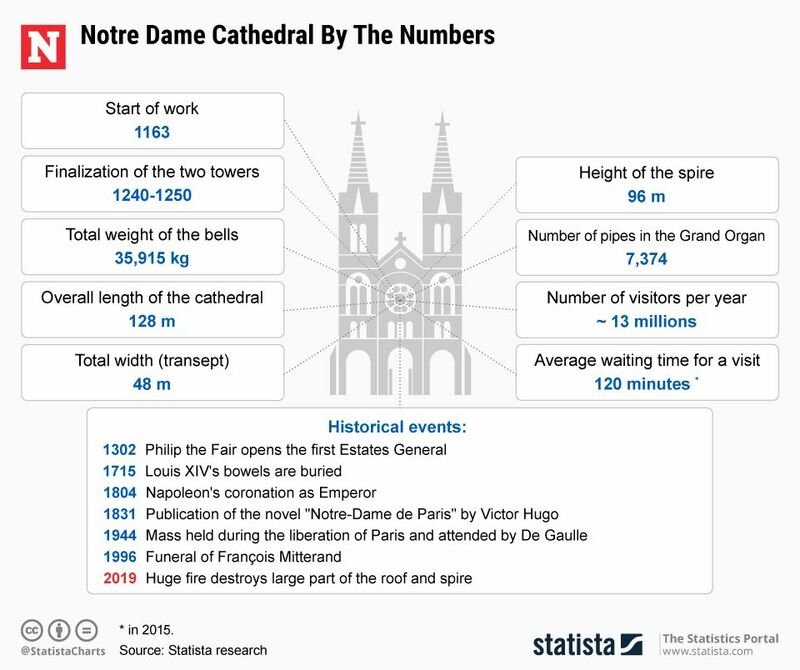 The graphic below, provided by Statista, illustrates the history of the Notre Dame cathedral.